Given the ongoing discussion with regard to our “invisible Wesleyan message” and my recent reflections on finding our Wesleyan voice, I thought I’d point to a couple of paragraphs from Joel Green’s book, Reading Scripture as Wesleyans. These quotes illustrate the centrality of scripture for Wesley and for the tradition that bears his name. 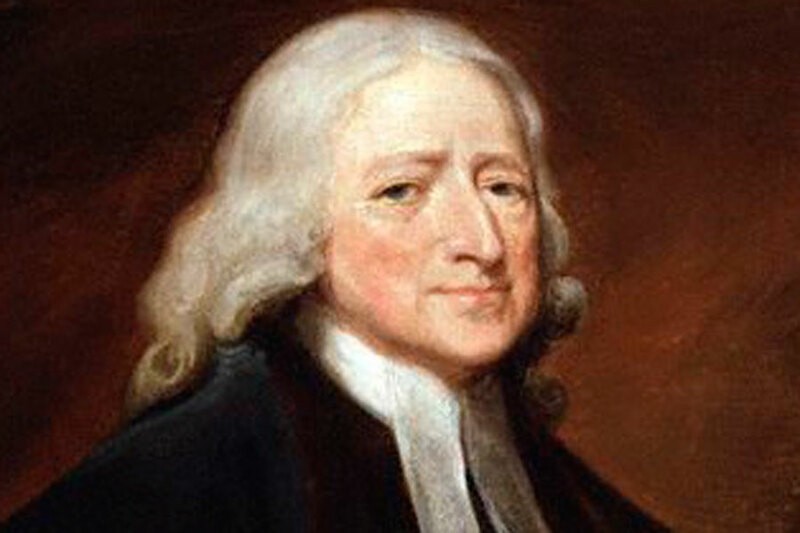 For the heirs of John Wesley – I will call them “methodists” – the central importance of Scripture in the formation of God’s people is nonnegotiable. Evidence for this claim in Wesley is easy to document. Consider Wesley’s own words: “Bring me plain, scriptural proof for your assertion, or I cannot allow it” (1). “You are in danger of enthusiasm every hour if you depart ever so little from Scripture” (2). In his eighteenth-century Britain, Wesley and his movement were slandered for their emphasis on Scripture. Like rotten tomatoes, names like Bible-bigots and Bible-moths were tossed at them by their detractors. Wesley wore these derisive words as badges of honor (p. vii). To push further, we need to recognize that our heritage as Wesleyans is a tradition that underscores the importance of theological formation for biblical interpretation. As Wesleyans, we read with a constant eye to what Wesley called, “the Scripture way of salvation.” We read with a constant eye toward the ongoing formation of the people of God in holiness. There are other ways to read the Bible, to be sure. But methodists locate their reading of the Bible within the larger Wesleyan tradition. We read the Bible as Wesleyans. And we need to know what that looks like (p. ix). Green certainly recognizes that the role of scripture in Methodism has been debated. Nevertheless, his comments help us to take stock of our heritage as we look to the future reflecting on the essential role of scripture in regaining our Wesleyan message. 1. John Wesley, Advice to the People Called Methodists with Regard to Dress, 5.1. 2. John Wesley, Farther Thoughts on Christian Perfection.